This training will help professionals learn how to identify, understand, and manage high conflict patterns of behaviour. It provides participants with a comprehensive understanding of the New Ways for Families® Parenting without Conflict online course for parents curriculum and how to implement it in their work with clients. Participants will learn how to coach clients through the online course material by reinforcing the skills taught in the course and assisting clients in applying the skills to their own situation. It is designed for use by Family Dispute Resolution Practitioners and other family law professionals who work closely with co-parents to help them to establish parenting agreements and co-parent successfully. 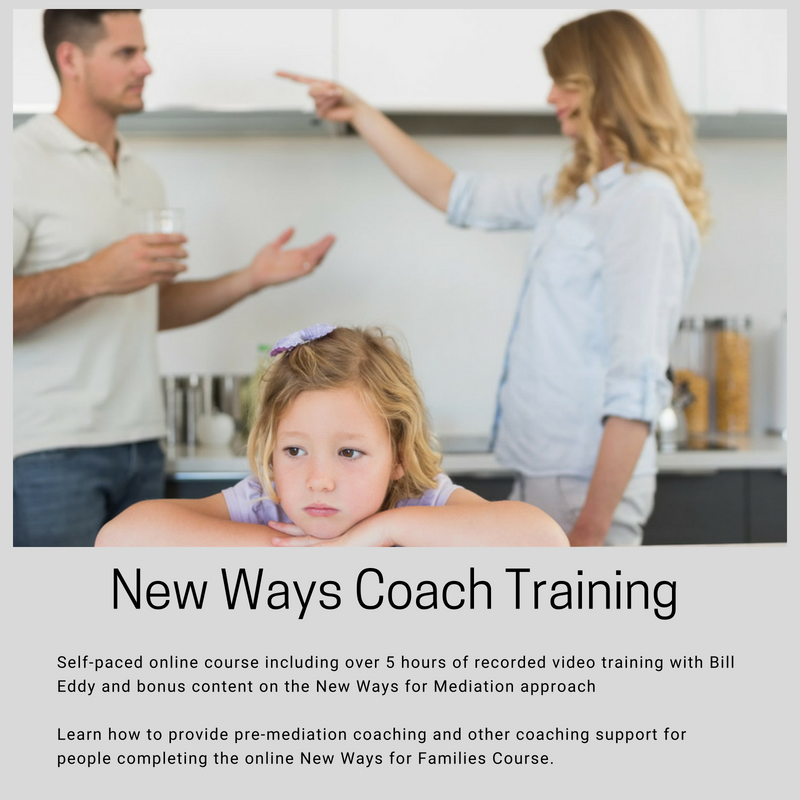 5 hours of recorded video training with Bill Eddy, Founder of the High Conflict Institute and developer of the original New Ways for Families Course. 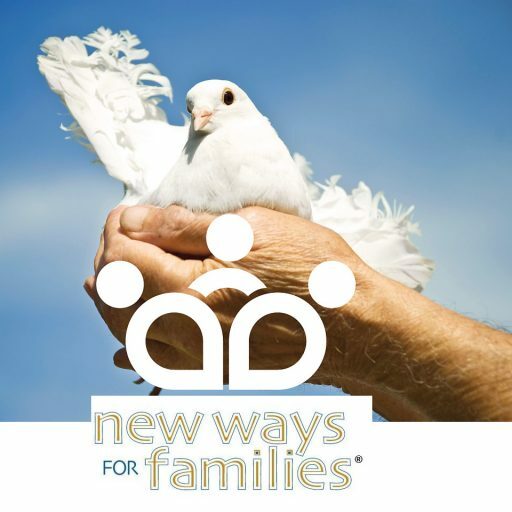 Become a Certified New Ways for Families Coach and help parents learn the four big skills for lower conflict post-separation parenting and improved Family Dispute Resolution Mediation. Learning the New Ways Skills: Comprehensive training on the course content, reviewing each of the 4 Big Skills. Use of your professional judgement as to which topics to cover with clients, based on the client’s needs and specific circumstances. This module is an additional 90 minute session for professionals who engage in Family Dispute Resolution and mediation-type services with clients after clients have completed the online course.